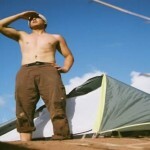 Six Safety Guidelines During Camping | Best Camping Advice and Best Camping Tips. Camping is fun. There is no doubt about that. But as harmless as camping may seem compared to extreme sports and activities like bungee jumping or rock climbing, you still need to always be cautious about your safety during a camping trip. Below are some safety guidelines to ensure that you have an enjoyable and safe camping experience. 1. 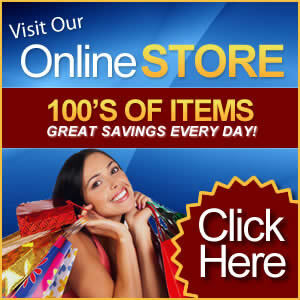 Buy durable and high quality camping gears that you can rely on even during trying times. 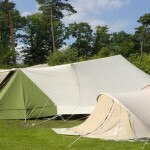 Don’t opt for cheap camping equipment just to save a couple of cents because you’ll be in bigger trouble if your poor quality tent falls apart in the middle of a sudden storm. 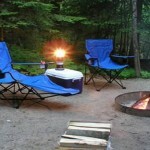 For example, Coleman can guarantee you of sturdy camping gears that will make you feel that you’re always in safe hands. 2. Don’t leave food unattended in the camping site for this may attract bears. If only bears are like Yogi Bear who just steals picnic baskets and makes funny wisecracks afterwards, then you don’t have any problem. But it’s different in real life. Close encounters with bears and other wild forest creatures is one thing you want to avoid during camping trips. Be sure to put away any leftover food or food container before you go back to your tent or before you go to sleep. 3. Don’t eat inside the tent. This is a precaution to avoid the small but terrible insects like ants that will follow trails of crumbs inside your tent and will possibly feast on your skin on too. So if you don’t want to be waken up in the middle of the night or to wake up the next day with red stinging ant bites on your body, say no to a late evening snack inside the tent. 4. Speaking of insects, another kind you should protect yourself from are mosquitoes which are common residents in forest areas. These dreadful insects being as tiny as they are can cause different kinds of diseases like malaria and dengue. Be sure to pack sufficient insect repellent and to bring a tent with mesh screens to protect yourself from mosquito bites. 5. Never use or even attempt to light up candles or gas lanterns inside your tent. This is extremely dangerous and may start a fire. Opt for safe catalytic heaters like the Coleman SportCat ™ Perfectemp™ Catalytic Heater with InstaStart™ Technology designed for indoor use or to be used in enclosed areas such as a tent. It is a good idea to place this heater in an elevated area like on top of a cooler so that it does not come in contact with the tent’s floor and minimizes the risk of you rolling over on it as you sleep. Keep it at least two feet away from anything that can be harmed by heat. 6. Pick a safe and well known campsite. Don’t go for deserted areas that are very far from civilization. 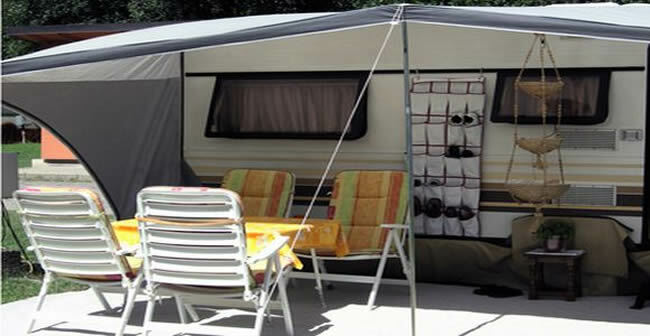 There are many camping parks that have guards to keep you safe even at night. But if you’re the adventurous type who loves to go camping in the middle of the forest, it is wise to choose spots that are recommended by fellow campers or have been tried by friends and family. Remember, to always opt for the safe side. As they say, it’s always better safe than sorry.